Here we are on the letter ‘Q’. What the hell can I write beginning with the letter ‘Q’?! It hit me at half past 3 on this cloudy Wednesday afternoon. I would write about how I am feeling now – queasy. I am feeling a bit better now, but this morning I ticked the dictionary definitions of queasy in that I felt nauseous and slightly worried about something. But, enough with the sob story! What is this, X Factor or something?! I am here to help you and not drag this hump day down even more with my tales of woe. Instead, you will recall my tips and words of wisdom the next time you feel queasy. Flat 7-Up. A truly Irish Mammy thing to say but believe me it does work. 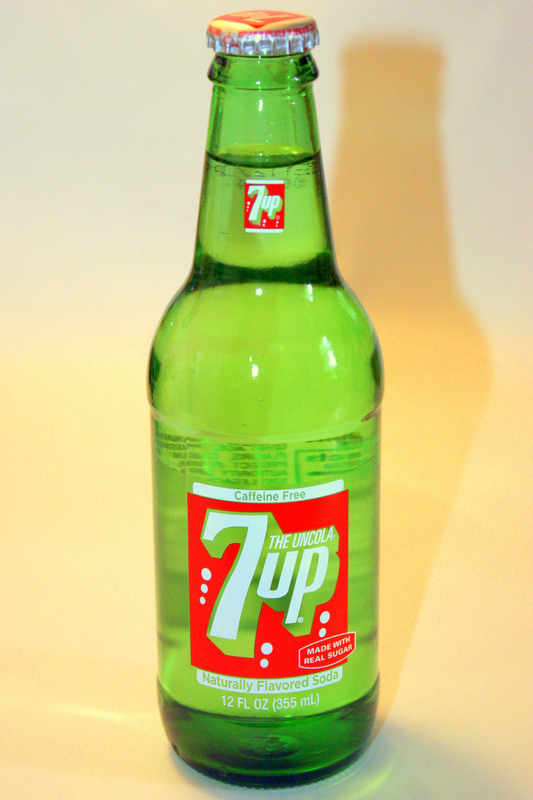 Get rid of all that gas and sip on a sweet glass of 7-Up to have your stomach settled in no time. This is a disputable piece of information but sure there is no harm in trying. Dry biscuits. You won’t go amiss with some Digestive or Rich Tea biscuits. This step usually comes after the flat 7-Up and is good for giving you a bit of energy if your day must go on regardless of an upset tummy. Bed balance. I have no idea what to actually call this tip. It probably doesn’t really deserve a name as it really just suitable for queasiness brought on by alcohol. Anyway, if you find yourself in bed after a night on the tear, and you have started to become queasy along with the case of the spinners, then lie on your side with one foot (not connected to the leg you are lying on) flat on the floor. Works wonders every time! Have you any other tips that you would like to share? Hit me up in the comments below! I’ve heard that ginger is good for nausea, so when I’m ill I always have a herbal tea with ginger in. Thanks for the tip! I haven’t tried that one myself. I am not a fan of hot drinks if I am to be honest. I would like to try and ‘train’ myself to drink them though – especially green tea. The way to lay is an interesting tip. If I can remember it, I’ll try it next time I’m feeling queasy. Usually, I drink a cup of peppermint tea. Ginger ale also helps me, but then that means going to the store to buy it.